I’m working on updating this stats page to show the 2016 comparison now that it is 2017. This graph is the extension of the one below. Look for a new post as the year end stats of $2BB in sales is tallied. The Deer Valley luxury home and condo market is certainly one of the most talked about in Park City real estate circles. As a specialist in the Park City market, Deer Valley is integral to the area, incorporating 1000’s of homes and condos, a marketing giant for tourism, and recipient of the #1 ski resort in America 5 times. 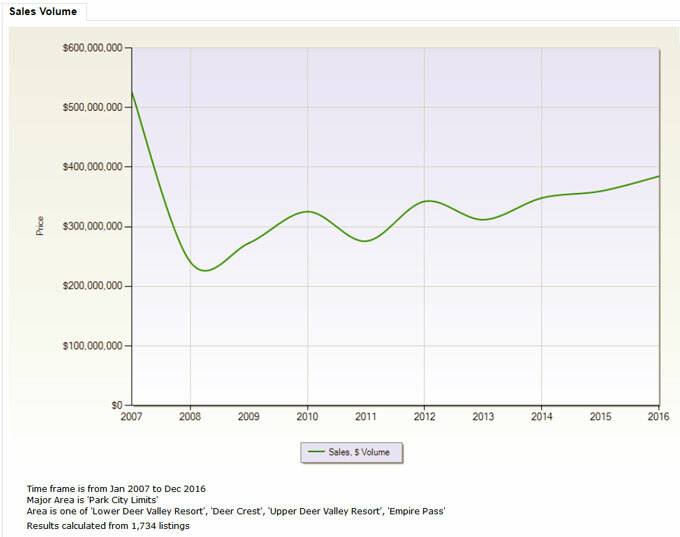 The chart below shows the journey from 2005-2007’s half Billion in sales volume per year, through the doldrums, and the recovery through 2014 with about $350,000,000 in sales volume in Deer Valley homes, condos, and land sales. For an in depth written review by area, Snow Park, Silver Lake, Empire Pass, and Deer Crest, check out this blog post. 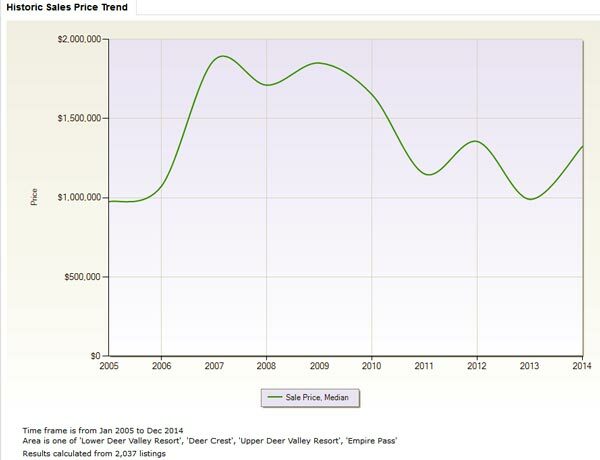 This chart shows the average sales price in the market during that time. This may look a little low, but keep in mind it takes in the condos at the base of Deer Valley in Snow Park, as well as the luxury homes at the top of Bald Eagle and Empire Pass. The condos outsell the luxury homes by quite a bit. The luxury homes for sale in Deer Valley offer gated privacy and ski in and out access to the best staffed ski area, and the finest on mountain dining anywhere. This depicts the price per square foot of what is selling. 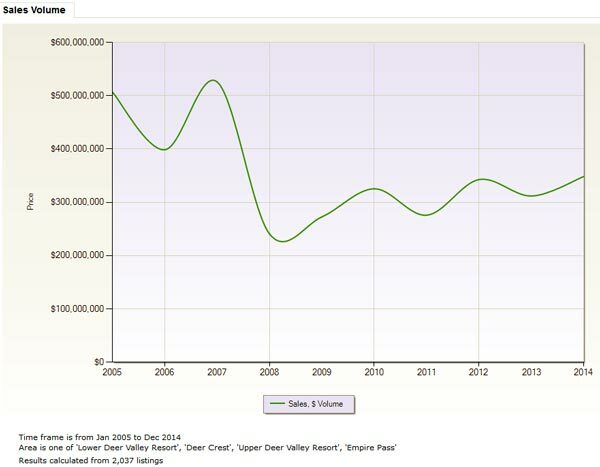 People want to have a property that is in great condition, we help you locate those properties and show the very best that Deer Valley has to offer. Sometimes that is a great location needing a remodel, sure, but many times someone has taken great care of the property for the next owner to enjoy.